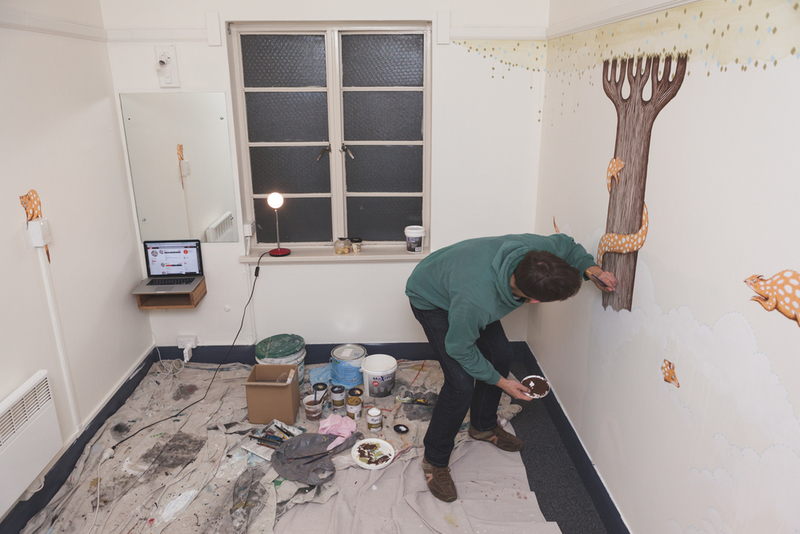 In July 2014 I went down to Hobart and painted a room at the Alabama Hotel with the help of Bri Hammond. 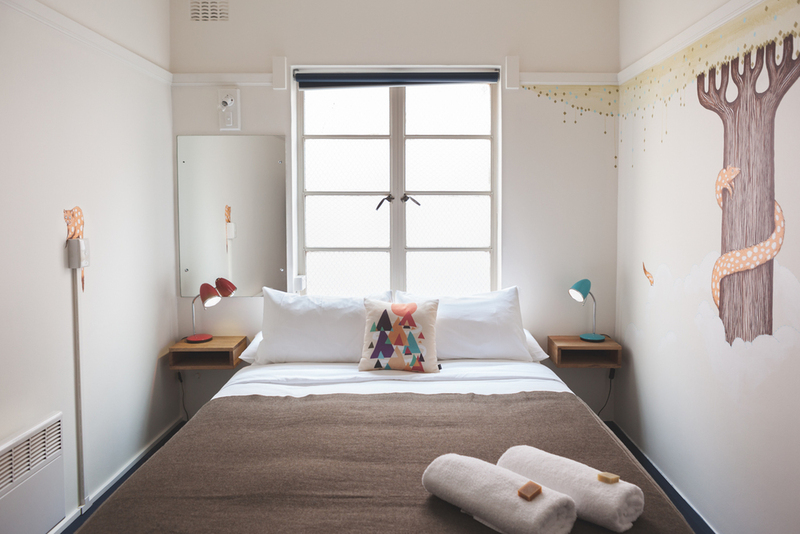 Every room in this delightful place has original artwork and the owners Aedan and Kelly made us feel so welcome in their hotel and city. If you're ever in Tasmania I would definitely recommend a stay at the Alabama. 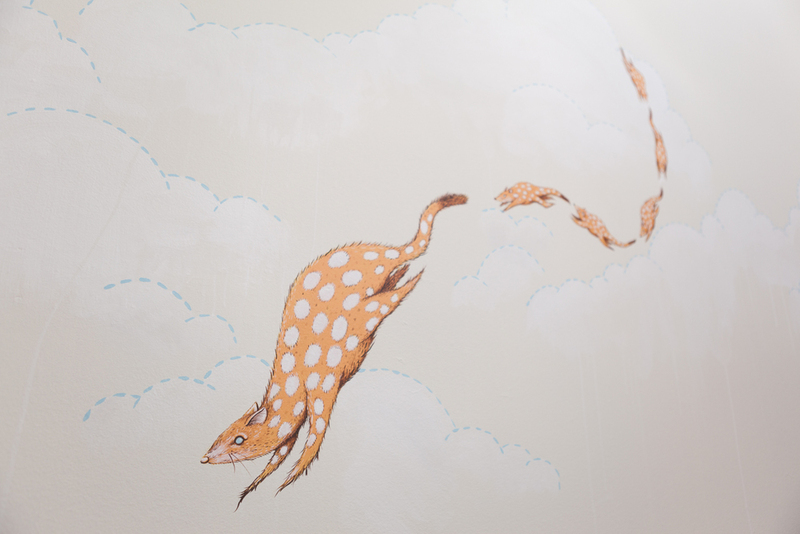 Ask for the room with the quolls when you book. Quolls are endangered or extinct across most of Australia, but have the best hope of survival in Tasmania. We were also inspired by the low clouds drifting through the valleys that lingering around Mount Wellington and the incredible giant trees in the Tasmanian forests.